Dr. Hinh is a native Houstonian, having graduated from Clear Creek HS. He went on to receive his undergraduate degree from the University of Texas at Austin with Honors. With an interest in clinical research, he then furthered his studies and obtained a Masters of Public Health from Tulane University in New Orleans. He graduated from Texas Tech School of Medicine with the distinction of being inducted into the national medical honor society, Alpha Omega Alpha. He performed his urology residency training at the University of Texas at Houston in the world renowned Texas Medical Center. 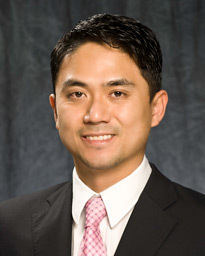 Dr. Hinh's practice encompasses all aspects of general urology, including endourology/stone therapy, male sexual dysfunction, and voiding dysfunction and incontinence. He places special emphasis on minimally invasive approaches with the aim of incorporating the latest technological advances in managing urologic diseases. Dr. Hinh practices at Vanguard Urologic Institute in the Texas Medical Center and Memorial Hermann Southeast Hospital in Southeast Houston.